Editor of the Australian & New Zealand Masonic Research Council’s Publications. Tony Pope was born in England in 1933 and migrated to Australia in 1960. 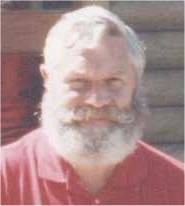 He lived in South Australia from 1961 to 1995, and again from 2001 to 2004 (after 6 years in Victoria), and has recently moved to rural New South Wales. He was initiated in South Australia in 1979, served as Master in 1990–91, and as Master of a Victorian lodge in 1999–2001. He has been a member of a number of Masonic research bodies around the world, including Quatuor Coronati correspondence circle, the Scottish Rite Research Society, the Philalethes and Phylaxis Societies, the Southern California Research Lodge, and the South Australian Lodge of Research. His current research affiliations are the Dr Charles H Wesley Masonic Research Society (Ohio), the Victorian Lodge of Research correspondence circle, and the Australian & New Zealand Masonic Research Council (ANZMRC). While he has been researching and writing on Masonic matters since 1979, Bro Pope spends more of his time editing the work of others. He was editor of the South Australian Lodge of Research publications 1984 to 2003, and has been editor of the Australian & New Zealand Masonic Research Council’s publications since its inception in 1992. Among the authors whose books he has edited are John Hamill, Yasha Beresiner, Neville Barker Cryer and the late Cyril Batham (UK), Wallace McLeod (Canada) and David Gray (USA), and he has agreed to edit books in progress by Joseph Walkes (USA) and Robert Cooper (Scotland). From 1995 to 2000 he collaborated with Kent Henderson to produce the two-volume Freemasonry Universal.